In this exhibit, visitors can experience the Ara Pacis through virtual reality to discover how it once looked. Matera has been named Europe's Capital of Culture for 2019, and will celebrate with events all year long. 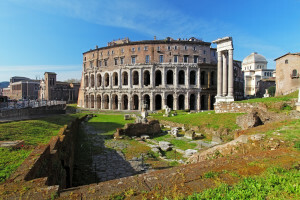 Nightly performances at 8:3o p.m. at Rome's Teatro Marcello focus on classical music, including Baroque, Romantic, and Classic styles. Performances range from soloists to chamber ensembles to polyphonic choirs. Performances are held on Easter Sunday and Easter Monday, and then resume from July 1-September 28. Access 160 Issues of Our Award-Winning Travel Publication. Get Insider Help Planning Your Trip to Italy. 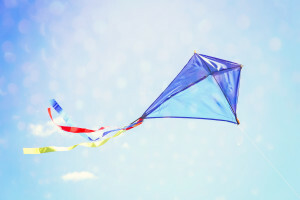 For four days in April, the skies of Ferrara are cluttered with all kinds of kites, including stunt kites, flown by kite enthusiasts from all over Europe. Access 160 Issues of Our Award-Winning Travel Publication. 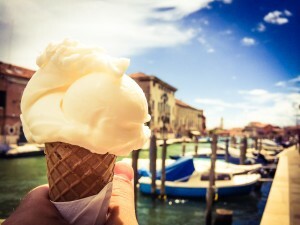 Get Insider Help Planning Your Trip to Italy. 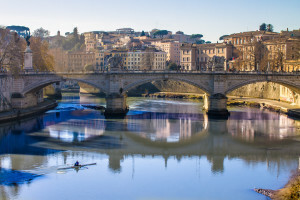 Canoeing on the Tiber (Discesa del Tivere) sends participants canoeing from Citta' di Castello to Rome on seven 20-30km stretches of the Tiber River, in groups led by experienced canoeists. Note: dates have not been confirmed; please check the event website for updates. Access 160 Issues of Our Award-Winning Travel Publication. Get Insider Help Planning Your Trip to Italy. 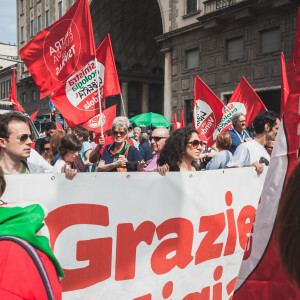 On April 25, 1945, Italy was liberated from the grip of Mussolini and the German-Fascist regime. The country celebrates this historic day with parades, ceremonies, and speeches. Rome, as the capital, enjoys the biggest celebrations, including a visit by the President to the Ardeatine Caves Mausoleum, where the Nazis massacred 335 Romans in 1944. Access 160 Issues of Our Award-Winning Travel Publication. Get Insider Help Planning Your Trip to Italy. 100 Painters on Via Margutta is an event held twice a year that features the work of 100 local and international artists on Rome's Via Margutta, a street famous for inspiring painters, sculptors, artisans, poets and musicians. Note: dates have not been confirmed; please check the event website for updates. Access 160 Issues of Our Award-Winning Travel Publication. Get Insider Help Planning Your Trip to Italy. Agrinatura constructs rural villages in the town of Lariofiere in order to give the public a taste of country life. The festival, dedicated to health and nature, includes animal shows, artisan demonstrations, food tasting, and children's events. Note: dates have not been confirmed; please check the event website for updates. Access 160 Issues of Our Award-Winning Travel Publication. Get Insider Help Planning Your Trip to Italy.